​It is probably no surprise to many of you that my husband and I attended a fly-in while on vacation recently. 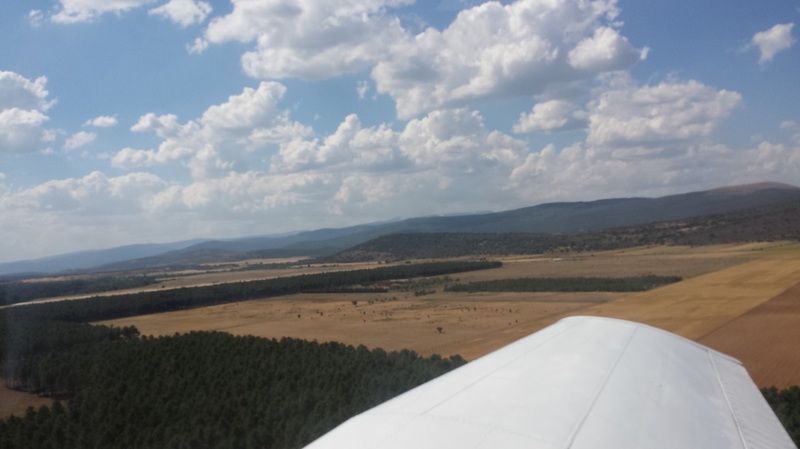 In previous blogs, I have mentioned how we always try to link our vacation with a little bit of aviation and flying to learn how general aviation (GA) works and is treated in other parts of the country and world. And, yes, we also enjoy seeing places and landscapes from a 3D perspective. Who doesn’t, right? This time… we headed to my home country of Spain for 10 days to visit family, eat some good food, enjoy a little R&R, and experience traditional festivities during Soria’s fire walking festival (paso del fuego) in San Pedro de Manrique and annual festivities, calledFiestas de San Juan. 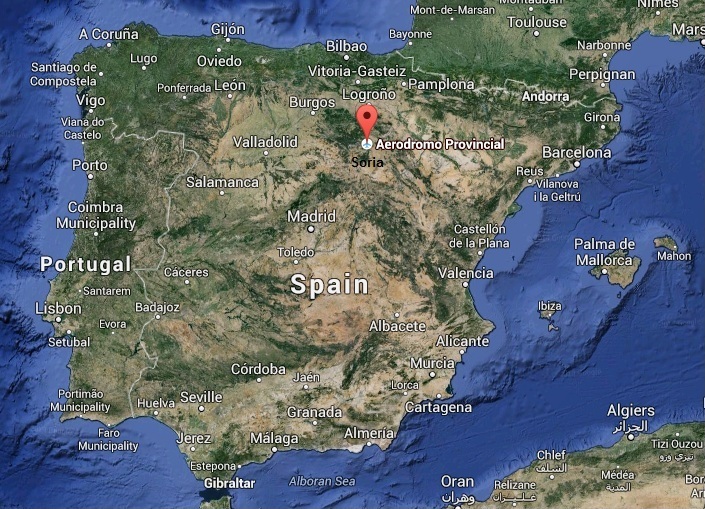 The map below shows you where Soria is located within Spain. It is about a 2 1/2 hr drive from Madrid (in the center of the country) to Soria. 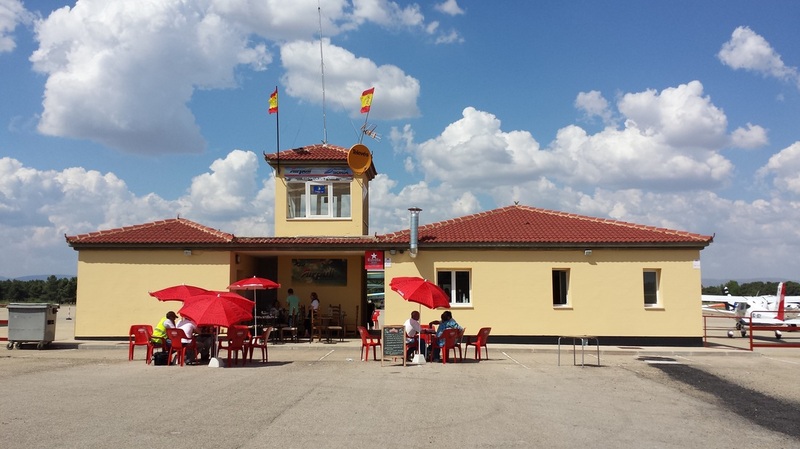 ​On Saturday, June 21st, Soria’s aerodrome/airport in Garray (only 7 or so km north of Soria) held a fly-in to introduce the newly re-opened and improved airport to the locals (called sorianos) and pilots. While the airport was opened in the early 20th century, the airport has not always been successful. The airport is owned by the province and managed by a private entity. A new management company, Airpull Aviation, took over the management and control of the airport on December 18th, 2013 for the next 10 years. Their goal is to make the airport attractive to pilots and the local community while ensuring its economic viability. My family had been updating me on the improvements made to the airport since the beginning of the year (resurfacing of the main and existing runway, a new runway, a bigger ramp, a restaurant, a fuel farm, a new roadway leading to the airport, etc.) so the fly-in was the perfect opportunity for me to see it for myself. To be honest…. I was excited about it, but I truly expected a small event with a low turnout. To my pleasant surprise… the fly-in actually reminded me of a lot of fly-ins I attend here on behalf on AOPA and it was one of my highlights of the trip. 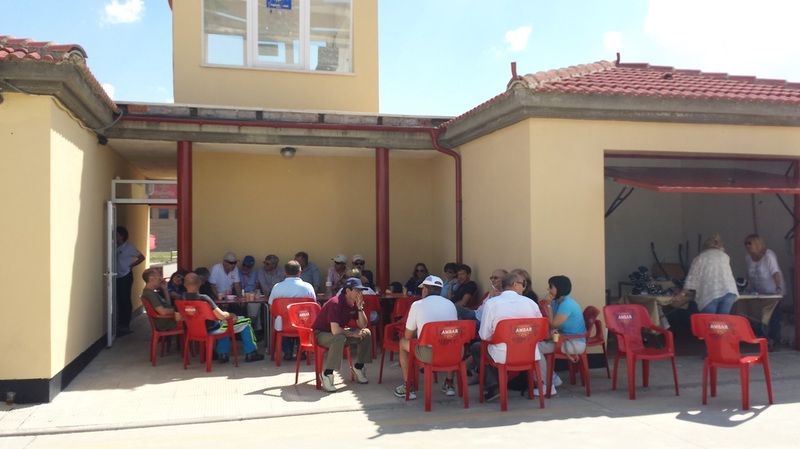 ​The airport has a restaurant/coffee shop (restaurante/cafeteria) inside the terminal with a couple of patios outside, where several locals where eating and talking while enjoying the sights of aircraft flying. 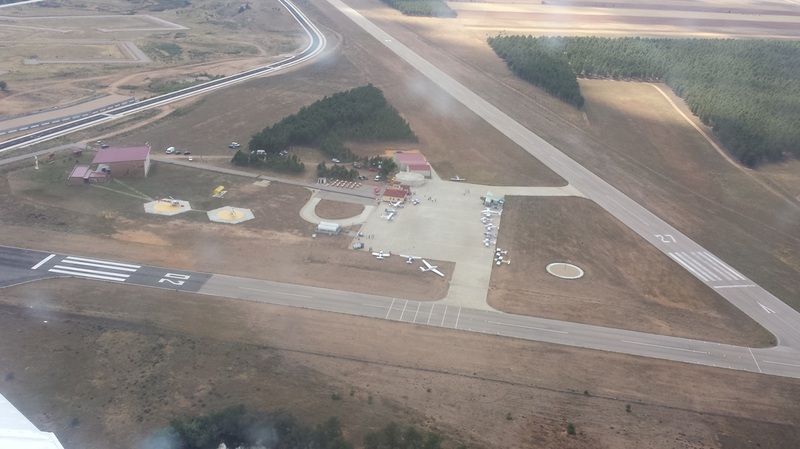 ​The airport also has a flight school that provides training, rental aircraft, skydiving, etc. The prices seem pretty competitive with other parts of Spain and Europe but, not suprisingly, not with those here in the States. To give you an idea… a 1979 Cessna C172 Skyhawk or a 1985 Piper Warrior II goes for 205 euros an hour wet with taxes (with or without a CFI – the charge is the same!). At the current exchange rate of about 1 € = $1.36, that would be $279/hr. Flying club members can get them discounted at 160 €/hr ($218/hr). Yes, then you have to pay user fees/landing fees separately. 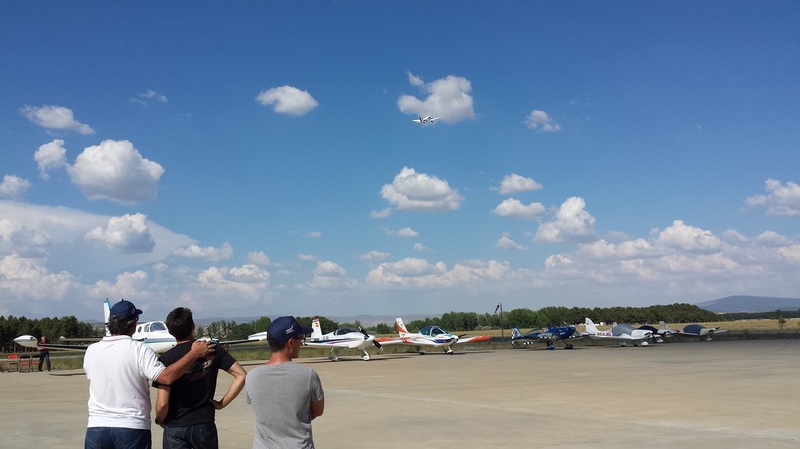 ​I introduced myself to the guy who looked to be in charge of the event since he was carrying a portable handheld radio and was giving takeoff/landing/low flying permissions/clearances to the pilots flying. He immediately asked if I had any interest in flying. What do you think I said? “Of course! No need to ask! 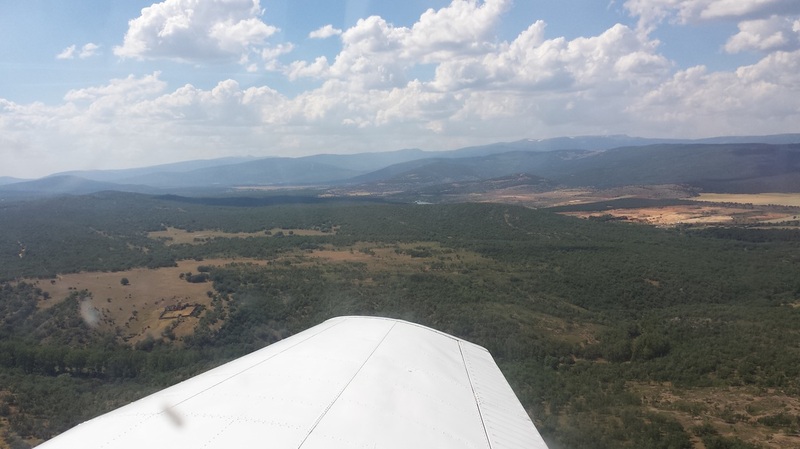 Thank you!” A few minutes later… my High School friend Lorena (who came to visit us from Zaragoza – 2 hrs drive time east of Soria) and I were in a Piper Warrior with CFI Eduardo at the controls heading out to the runway. I took the back seat and let my friend Lorena sit up front. 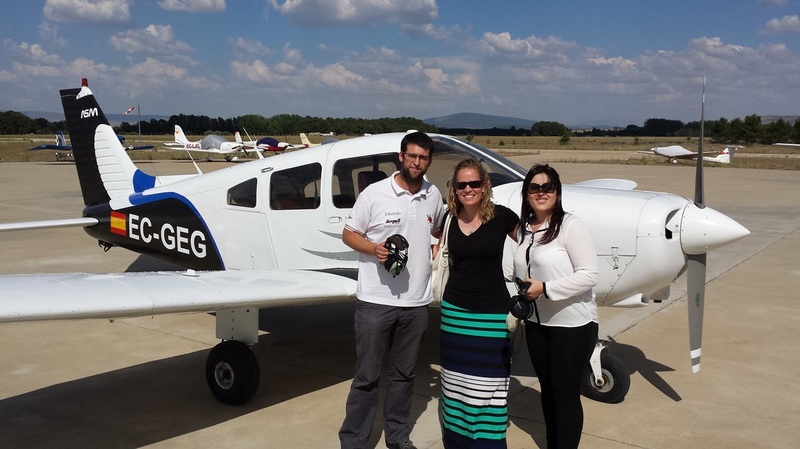 It was her first flight in a small GA aircraft and I wanted her to experience it first hand. 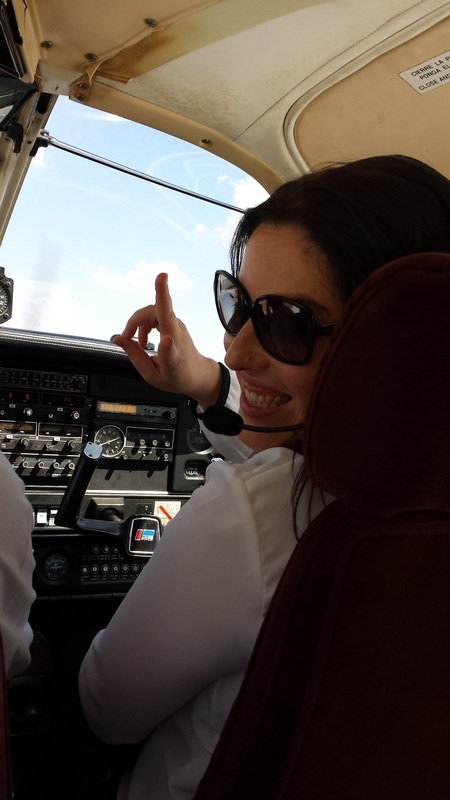 We had a fabulous flight and Lorena left the aircraft (and airport) wanting more and thinking about obtaining a private pilot license (or PPL as they call it in Europe). Mission accomplished! ​It’s funny how all the people who took “first time rides” left with a big grin on their face and nothing but complementary comments. “Amazing!, Wow!, Fantastic!, How fun!” are some of the things I overheard them say. 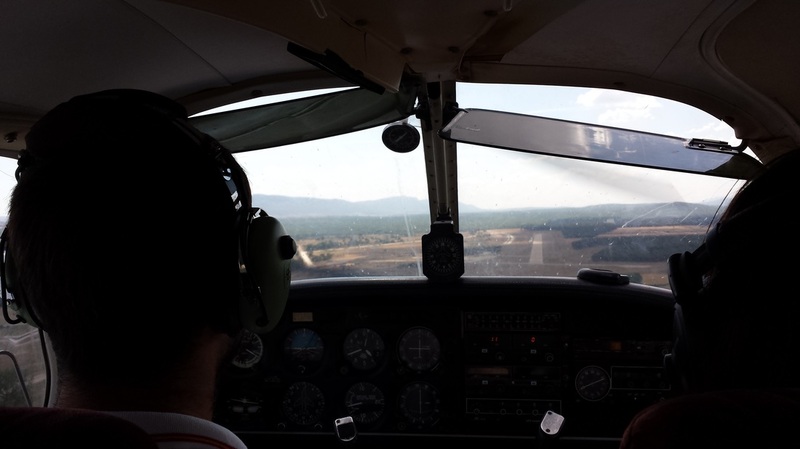 Ahhhh the joys of flying general aviation aircraft….. While there, I also spoke with Santi Marti, the airport’s general manager, to thank him for the event, his work with the airport, and get a summary of the day’s and year’s (to date) success. 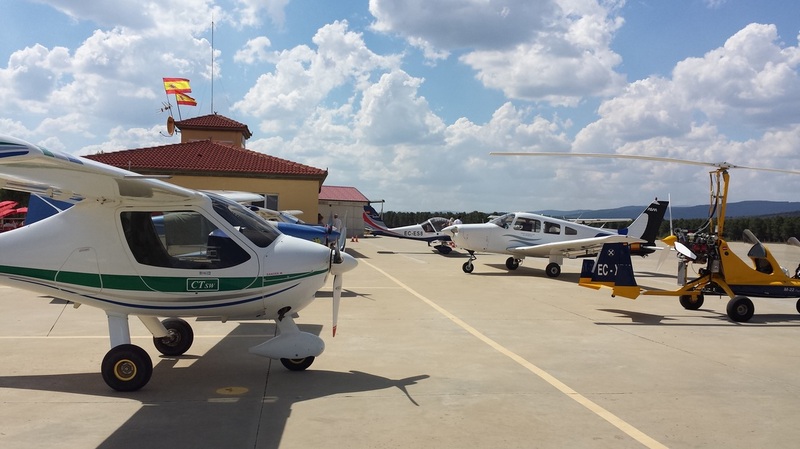 Approximately 500 people and 45 aircraft (airplanes, gyrocopters, ultralights, LSAs, etc) attended from around the country (Valencia, Bilbao, Barcelona, Madrid, Valladolid, Navarra, Soria, Toledo…) as well as four from France and one from Germany. Among the aircraft was an Antonov AN II from 1947. ​Mr. Martin also gave me some great news. Their goal was to have at least 500 aircraft operations in 2014 but they have already exceeded that in only the first few months of service and that’s with Spain’s current recession. 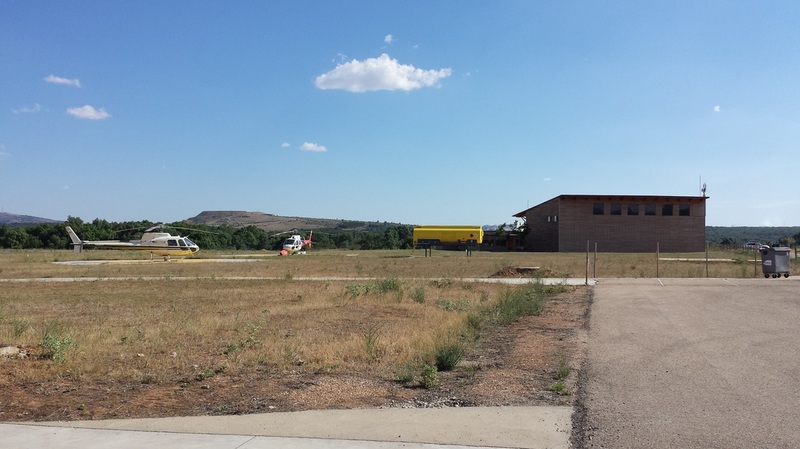 Soria’s airport does have a good future ahead… The province and the local media have provided a lot of support to the airport and I hope it continues that way. 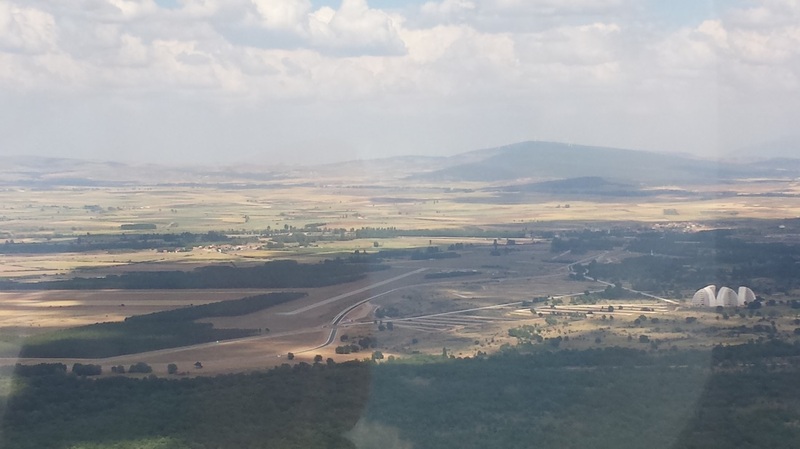 The airport is located in a great area (centrally located, with beautiful scenery as you saw from my pictures above, and away from busy airspace), making it ideal for GA operations, to include gliding. 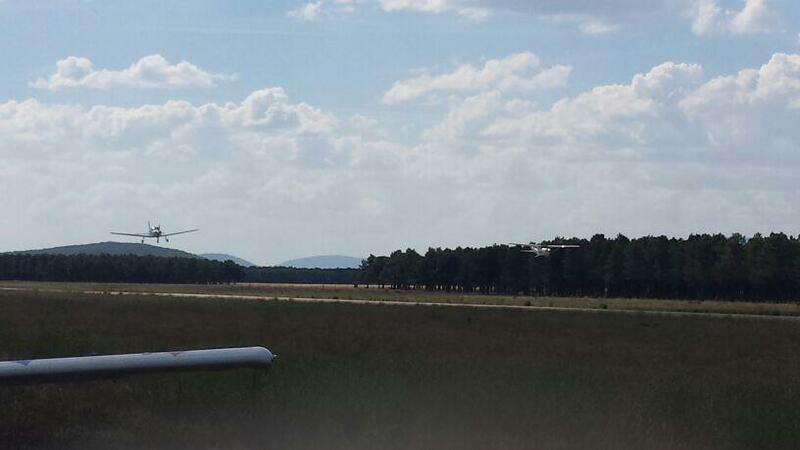 Glider pilots say it may be the best area in Spain given its thermals, geology, and meteorological conditions. 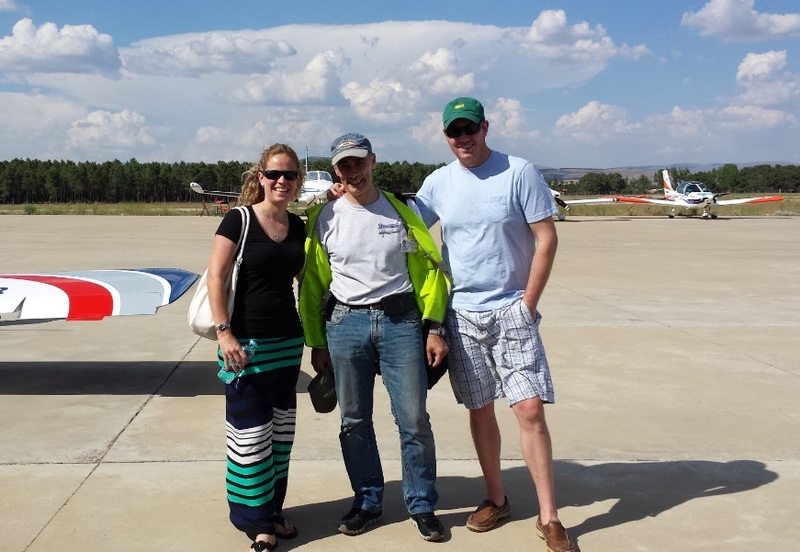 But, if that wasn’t enough, the icing on the cake was to meet Victor Gaspar, an AOPA member who flew in from Bilbao, in northern Spain, in the RANS Coyote II he built seven years ago. He is also currently building a second aircraft, this time an RV-10, and he briefly explained to me some of the issues he is running into with the Agencia Española de Seguridad Aérea (AESA), the “Spanish FAA” and a sub-agency of the European Aviation Safety Agency (EASA), as he chooses an engine for his new aircraft. 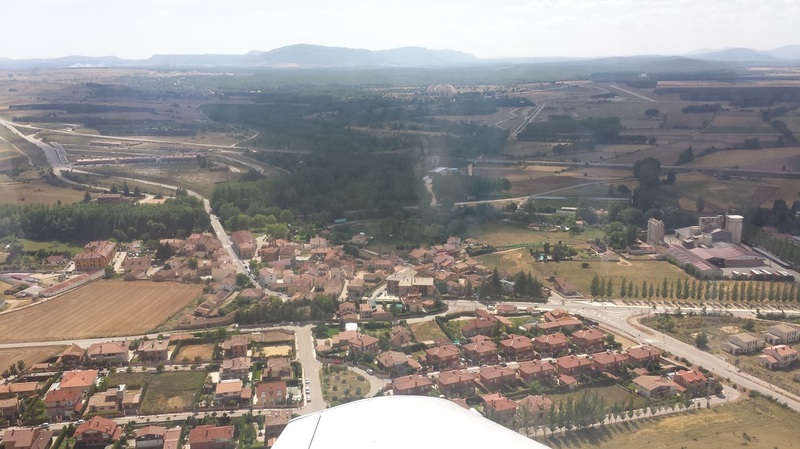 They don’t allow it to have the engine that the kit aircraft is designed for because it has too many horsepower according to current Spanish regulation. A past Air Venture attendee, he expressed his gratitude towards AOPA and EAA. Without AOPA, general aviation wouldn’t be what it is, he said.